Synopsis: Reason is the torch bearer of a human mind, fate never affects a man of conscience because he is already travelling with it. god is man's cheapest invention. suggests the author and agent provocateur, Thiruman Archunan, rituals are unintelligent man's way of managing his life, they are useful but there is a limit. He comments on the prevalence of rituals any culture from taunting age-old practices that are followed blindly, evaluating the meaning of democracy to advocating for woman, the author had shared his carefully formulated thoughts on man, woman, god and everything in between! in this enlightening book with ageless and indispensable questions, the author seeks to speak to each reader on a personal, individual level, the author is candid with readers on his contentions - agree with, be outraged by him or simply rubbish his theories. this is a good book to get those cerebral juices flowing!. Review: first of all l would like to say a big thank you to Thiruman Archunan for sending me his book and giving me the chance to read it and kindly signed my book for me. l was sent this book in exchange for a honest review l am glad this book is on my book shelf. l would tell people that you should step outside your comfort zone with books because it is good to add more authors and genres to your reading portfolio even if you do not read books like this. l do not normally read books like this but l really enjoyed this one and l am glad l stepped outside my comfort zone with authors and genres l am so glad l did because l have read so many great books. l found this book real easy to get in to and l really enjoyed reading this book. l found it a interesting read. l highly recommend this book to anybody and l found this book hard to put it down once l started reading it. this is a great book. 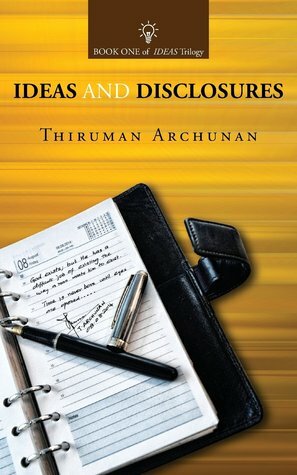 About The Author: Thiruman Archunan is an engineer by qualification and profession. he currently works in a senior management position with the government of India. an avid reader, he has been passionate about thinking on a plethora of subjects in the fields of science, religion and philosophy. this, his first published work is the consequence of years of rumination and exploration on life's fundamental issues concerning god, the mind and reason it is favorite subject is reason and he believes that it is necessary to conquer reason in order to understand both it is strength and limitations according to him, the one who subverts reason, as millions do so regularly, is less than a man how ever scared he thinks or claims he may be. he says, to achieve a real enlightenment a man has to overcome the reason and not to overlook it.